It seems The Big Bang Theory isn’t going away anytime soon. Deadline reports the cast is nearing a two-year renewal deal for the popular CBS sitcom. The comedy series is currently in its 10th season. 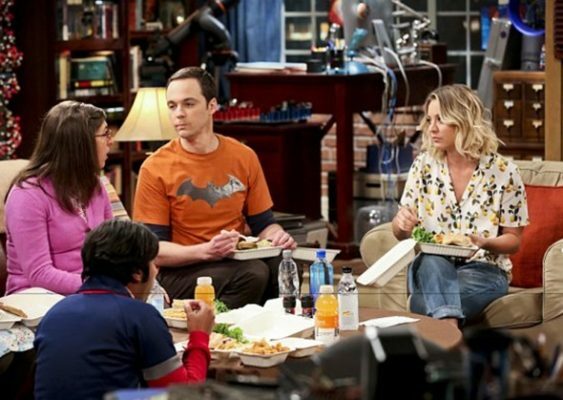 It’s the last contracted season for the show’s main cast, which includes Jim Parsons, Johnny Galecki, Kaley Cuoco, Kunal Nayyar, Simon Helberg, Mayim Bialik, and Melissa Rauch. Earlier, Parsons said he’d be “shocked” if the show wasn’t renewed for an 11th season. It looks like the rest of the cast are on the same page as Deadline reports they are currently “finalizing new two-year contracts to continue on the Warner Bros TV-produced comedy series.” This would lead to a season 11 and 12 renewal for the CBS sitcom. Neither CBS nor the cast have confirmed the news, but the network has made it clear they want The Big Bang Theory to continue. The series is currently CBS’ top-rated show and its 10th season has earned an average rating of 3.36 in the 18-49 demo and 14.769 million viewers so far. What do you think? Do you watch The Big Bang Theory? How many more seasons do you think the show should run? The Big Bang Theory: Would the Cast Make Season 11? This show is long in the tooth and needs to be dragged out back and shot! 2 more seasons of this garbage? Good grief!